Honored and proud to be a small part of such a loving and supportive brand! We were asked to storyboard, design and illustrate the end titles with DARKMATTER out of LA, and we jumped at the opportunity! 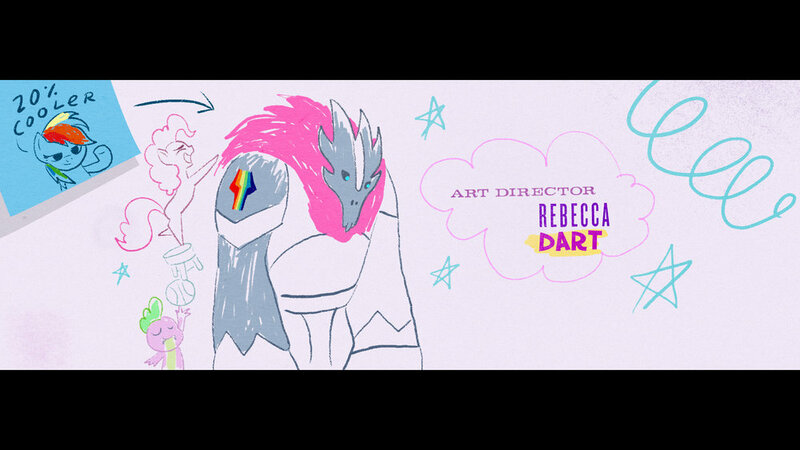 Working hand in hand with Creative Director Zai Ortiz, MLP's director Jayson Thiessen and Art Director Rebecca Dart, we established the look, tone, feel and humor of this colorful party sequence. We poured over the film numerous times to pull in as many references and tie-ins as we possibly could in order to adequately do this party in Equestria justice. Truly a team effort from everypony involved!